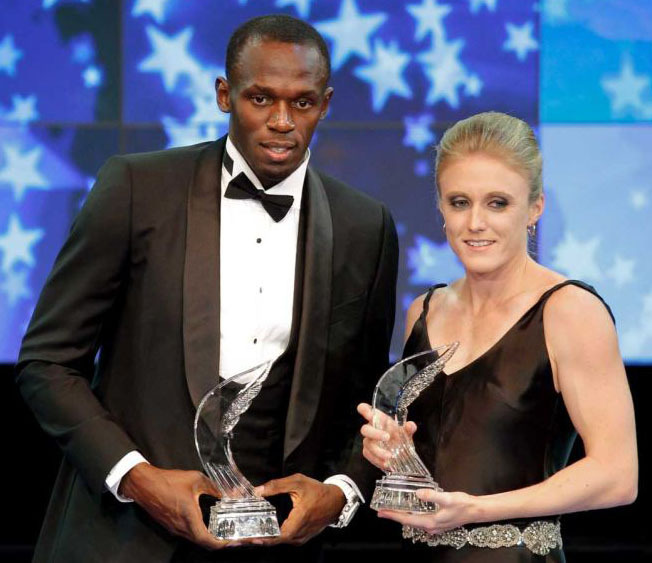 Jamaican Usain Bolt and Australian Sally Pearson were named Athletes of the Year by the International Association of Athletics Federations (IAAF) on Saturday. Bolt, winning the award for the third time, bounced back from disqualification for false starting in the world 100 metres final to retain his 200m title, before anchoring Jamaica to win the 4x100m relay in a world record time. Pearson enjoyed a phenomenal season, winning 15 of 16 races and taking the world 100m hurdles title in 12.28 seconds, the fastest time in 19 years.